Browse through CoolCare4’s care home management software features. Depending on your role, CoolCare4 will help you in lots of ways! 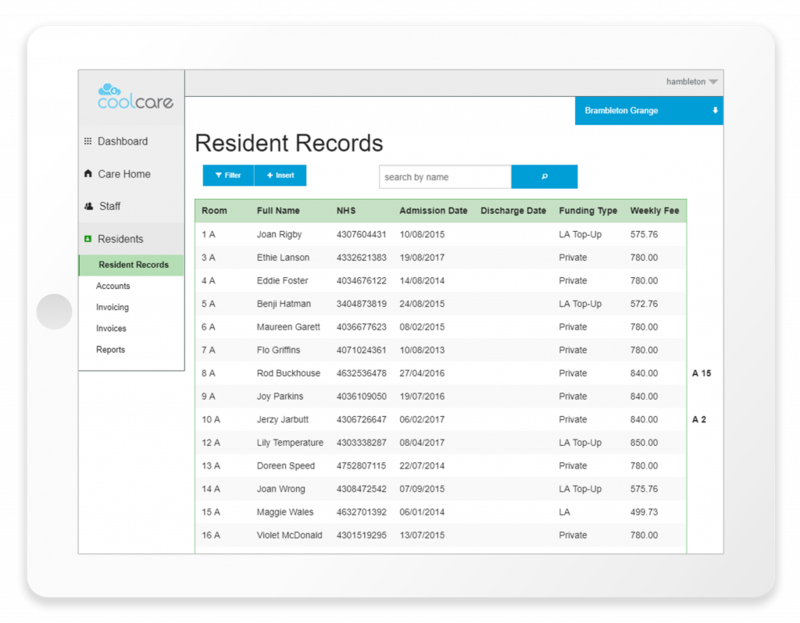 Care homes know that accurate data is key to successful business operation. Your care home management software must help you to get that right. Through CoolCare4’s friendly design, your data is therefore entered the right way. Most importantly, it also means you have accurate information and precise reporting at your fingertips, all day, every day! It’s a piece of care home home management software you’ll soon be lost without.